This topic contains 2 replies, has 3 voices, and was last updated by Owen 3 weeks, 3 days ago. 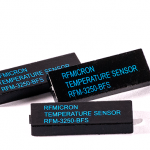 The RFM3240 is a long-range rugged wireless temperature sensor which attaches to the flat metal surfaces of busbars and server busbars with its adhesive back panel. It may also be attached to the transformer unit. The RFM3250 is a rugged on-metal temperature sensor that may be connected to the ring main unit (RMU), contactor assemblies or busbars. 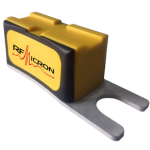 The RFM3254 is a smaller version of the RFM3250 to allow placement in space-constrained locations in the switchgear in the contact assembly. The RFM3260 is a lug-mounted on-metal temperature sensor which attaches to the bolts in busbars and RMU cable head-ends. In addition to the sensors, the complete temperature monitoring solution needs a fixed reader with antennas to periodically probe the sensors and acquire temperature readings from all the critical locations within the switchgear. 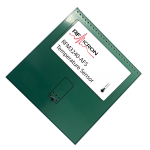 The RFM5107 is RFMicron’s complete switchgear temperature monitoring system, which includes a set of RFM3250 and RFM3260 sensors along with a fixed reader and antennas with cables. The fixed reader is usually mounted on the cabinet door with a display visible from outside. Inside the cabinet, the reader can be wired to up to four antennas. These antennas provide sufficient coverage to pick up the data from all the sensors placed within the cabinet. 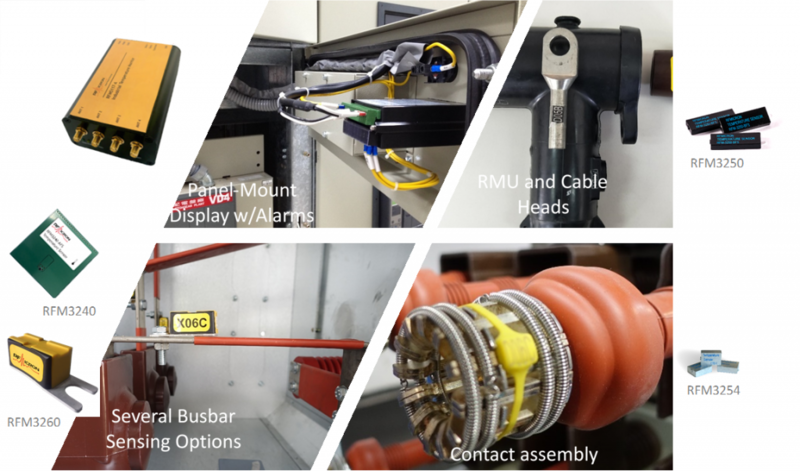 The complete system makes it possible to monitor temperature at critical locations within the switchgear cabinet without having to open the cabinet doors or deenergize the switchgear equipment. Do you also have a solution for the permanent measurement of temperatures above 85°C on the busbar? 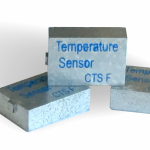 For example for the measurement of continuous temperatures up to 150°C? I would also like to know about 85°C and upwards. 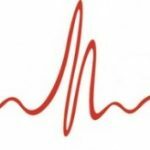 And, would the RFM5117 provide provisions for off-site monitoring?